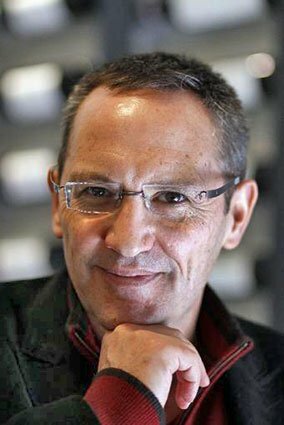 One scenario I yearn to witness is a quiz-master demolishing an other wise unassailable contestant by asking him to name a work by John Cage, other than 4’33”. Possible answers are numerous, but known only to those who’ve done their homework. 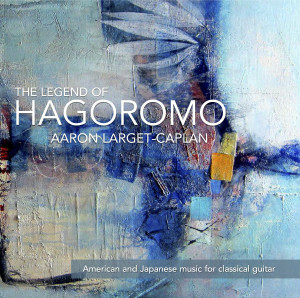 What Cage apparently didn’t do was compose for guitar, leaving a gap that is definitively filled by this ear-opening release from American guitarist Aaron Larget-Caplan. Drawing on Cage’s catalog for piano and prepared piano, Larget-Caplan eases the listener into the proceedings with the hypnotic soundscape of A Room, the word “minimalist” being invoked for a second time in the performer’s notes, alongside a disclaimer that “Cage did not use the term.” Whatever the genre, the two-part textures have a transparency ideally suited to the guitar. This is enhanced by Larget-Caplan’s tidy and understated playing, the feeling of brightness and focus well-captured by engineer Steve Hunt. 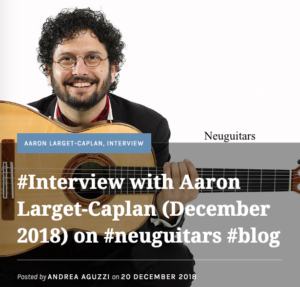 Likewise Three Easy Pieces, in which the tonal/modal language prompts Larget-Caplan to suggest the first two pieces “could easily be mistaken for 19th century guitar compositions.” Few are likely to confuse Cage with Carulli, but the comparison is not without merit. 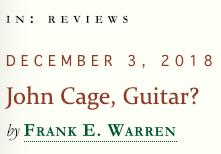 John Cage on guitar? Why not? 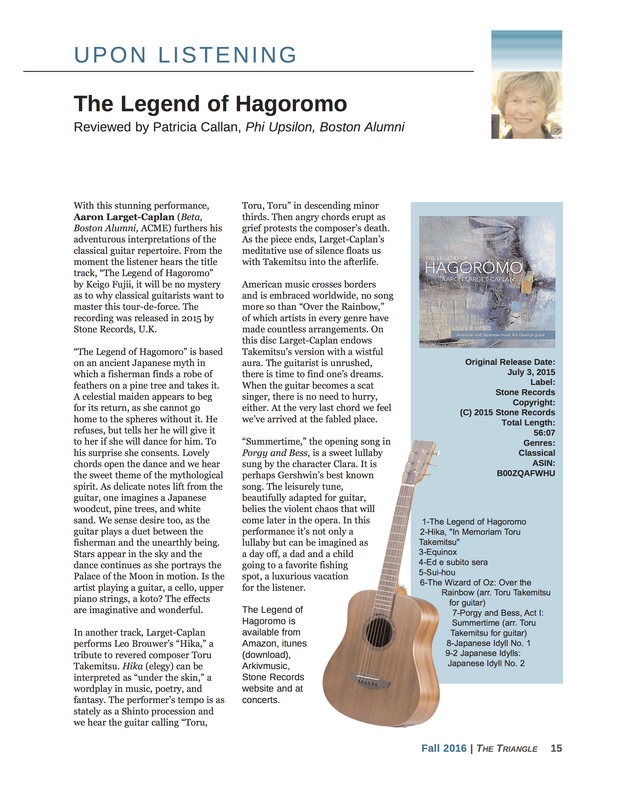 Though the American maverick never wrote explicitly for the instrument, some of his early piano music was adaptable enough for guitarist Aaron Larget-Caplan to arrange for his instrument. 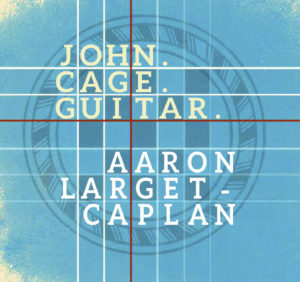 The results, out now John Cage: Guitar, are often enticing and plenty appealing. 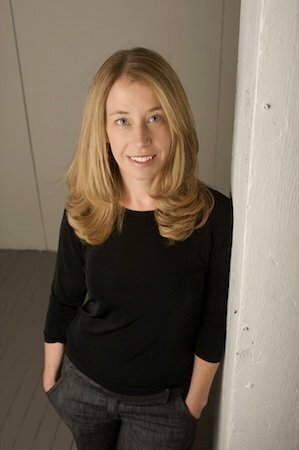 Larget-Caplan’s program consists of seven Cage pieces, all of which originated in the 1930s and ‘40s, a couple of which are remarkably prescient. The opener, A Room, for instance, anticipates the Minimalist procedures of a later generation or two. And the prepared-guitar closer, Bacchanale, sounds a couple decades younger than it is, almost like a kind of high-brow anticipation of Jimi Hendrix. In between come Cage’s Three Easy Pieces, which sound like just that: a set of short, contrapuntal exercises that exude not a little bit of charm, especially the central “Duo.” Chess Pieces and Dream are more substantial. The former is adapted from a composition that appears in a 1944 Cage painting while the latter, a ruminative essay, was originally conceived as a dance piece. In a Landscape is another affecting, resonant meditation. Larget-Caplan’s performances are excellent. Technically, he’s got everything under control, no matter how involved the arrangements get. What’s more, his playing brims with charisma and understanding: Cage can be a tough composer to really bring to life. 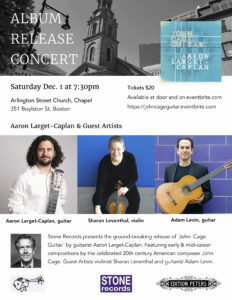 Larget-Caplan (and Leventhal, in Six Pieces) manage the feat impressively. 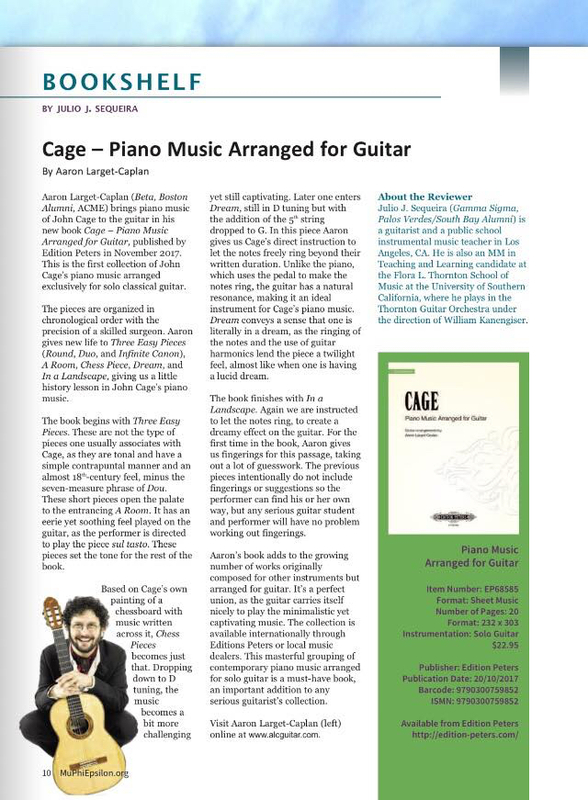 The first review of CAGE – PIANO MUSIC ARRANGED FOR GUITAR!! Thanks to Julio J. Sequeira and the quarterly MU PHI EPSILON (ΜΦΕ) Triangle.